JusticeLA is deeply troubled by the Los Angeles County Board of Supervisors’ vote to move forward with the construction of a so-called mental health jail. 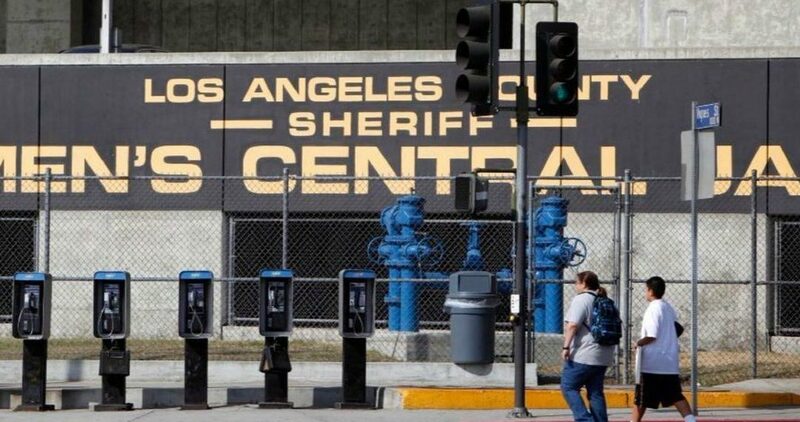 Los Angeles County is the largest jailer in the world, has one of the most murderous law enforcement departments in the world and has consistently failed to support our most vulnerable populations. Despite growing protests against the jail, the Board of Supervisors continues to ignore the voices its most important stakeholders–its constituents. 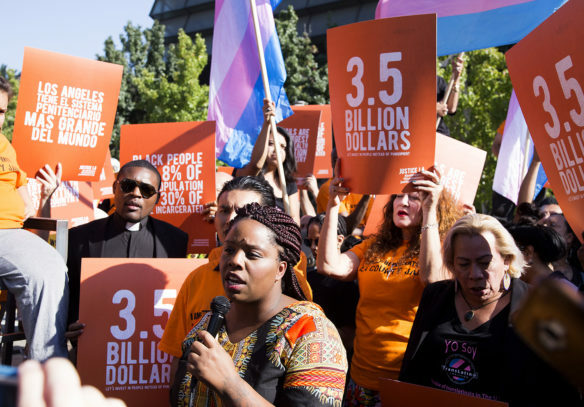 This so-called progressive Board has chosen locally to uphold the country’s shameful legacy of incarceration, cementing them in history alongside the policies of President Donald Trump and United States Attorney General Jeff Sessions. 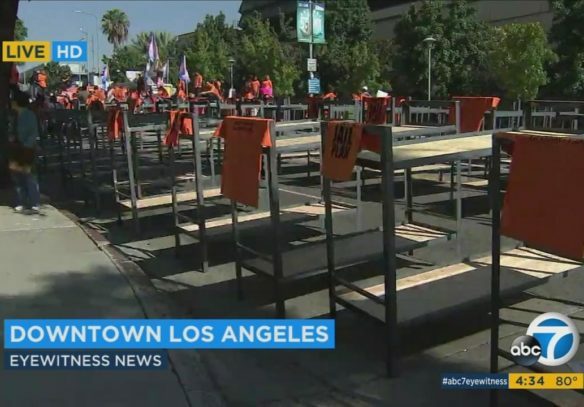 JusticeLA urges the people of Los Angeles County, and across the country, to fight against this proposed jail construction and all attempts to expand the carceral system through increased policing, surveillance or imprisonment. On Tuesday, June 19, the Board of Supervisors was faced with an important vote for environmental and funding approval of a new mental health jail. During public comment, no one–institution or individual– argued in support of another jail. What people did argue for was access to education, money for their community centers and community projects. An hour after public comment, the Board of Supervisors advanced the $3.5 billion jail plan rather than investing in our communities. This is the type of disappointment we expect from the Trump administration, not from our local leadership here in Los Angeles County. Los Angeles County must stop funding the jails that will cage our children in the future. Instead, we must re-allocate those funds towards the success of our children by making investments that promote true public safety such as education, community-based mental health resources, good jobs, affordable housing and scholarship programs. L.A. County must immediately reduce rates of incarceration through efforts such as the decriminalization of quality of life charges, elimination of pre-trial imprisonment and non-punitive diversion programs. It is the duty of our public officials to use taxpayer money responsibly for the benefit of the people. The jail plan is a harmful waste of taxpayer dollars that must be ended now. Hey Buddy!, I found this information for you: "Statement on L.A. County Supervisors Vote to Approve .2B to Build New Jail". 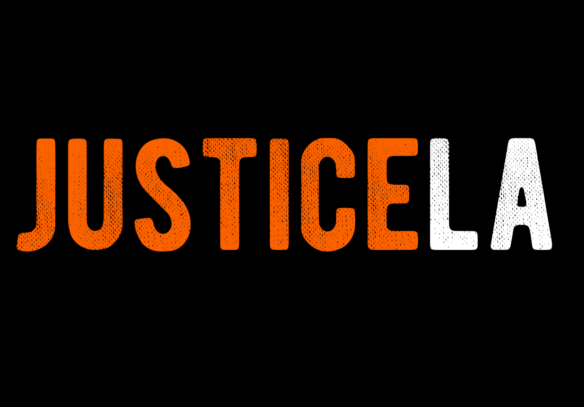 Here is the website link: http://justicelanow.org/statement-on-l-a-county-supervisors-vote-to-approve-2-2b-to-build-new-jail/. Thank you.